With the number of workplace lawsuits steadily rising in the last few decades, many employers moved to arbitration as the dispute resolution mechanism of choice, as it is generally more informal and faster than litigation and, unlike lawsuits which are public record, the parties can agree to keep arbitration proceedings confidential. Class actions (governed by Rule 23 of the Federal Rules of Civil Procedure) and collective actions (governed by section 216(b) of the Fair Labor Standards Act) can generally be described as legal actions in which one or more plaintiffs bring a lawsuit on behalf of a larger group (i.e. “class”) of plaintiffs. Class actions are especially common in employment law, accounting for 37.7% of all class action filings in the U.S. in 2016, and can be devastating to businesses. One federal court described the dilemma companies face in defending class actions this way: the certification of a class action forces defendants “to stake their companies on the outcome of a single jury trial, or be forced to face the risk of bankruptcy or to settle even if they have no legal liability.” Indeed, according to one report, in 2017 settlements of employment-related class actions alone totaled over $2.5 billion, an increase of roughly $1 billion from the 2016 total amount. The Supreme Court’s Epic decision undoubtedly favors employers who currently have, or who in the future may have, a mandatory arbitration program. However, despite what some media outlets and commentators might say in the wake of the Epic decision, employers should carefully consider a number of factors before deciding to roll out such a program. The questions of whether, how, when, and to what extent a mandatory arbitration program (with or without class and collective action waivers) should be implemented are complex and demand thoughtful deliberation prior to making any decisions. Koley Jessen’s Employment, Labor and Benefits practice group has been closely following the issues of mandatory arbitration agreements and class and collective action waivers for several years (see here, here, and here for previous publications) and on June 13, 2018 from 11:30 a.m. – 12:30 p.m. (Central), will present a complementary webinar on the Epic decision and its impact. This webinar will also include discussion of the various considerations involved in designing and implementing a mandatory arbitration program (including waivers of class and collective actions) in the workplace. Log in and RSVP information are provided below. 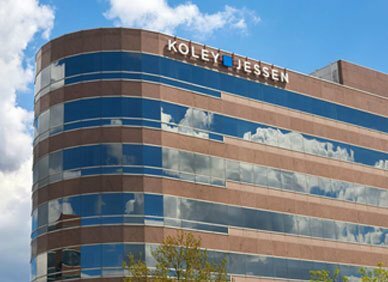 In the meantime, please do not hesitate to reach out to any member of Koley Jessen’s Employment, Labor and Benefits Practice Group to discuss this or other workplace-related concerns.